Loch’s Maple Fiber Mill was where two of us bought rovings ready to spin. A half pound each of some lustrous mohair and Wensleydale wool came home with me. Sharon got those as well as most of a light grey Teasdale/Wensleydale roving. I highly recommend Randy and Jamie’s business. They have machines imported from Europe so are able to process fiber into very fine rovings. They have a 16 month backlog for processing! 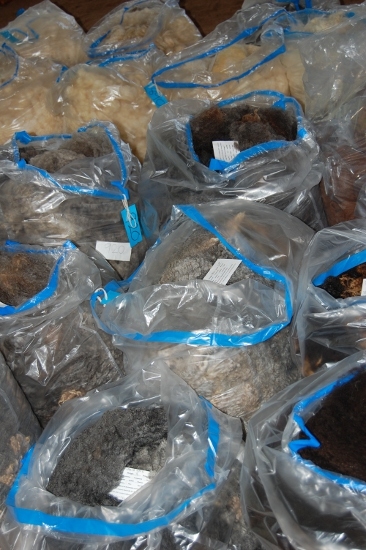 There were lots of fleeces for sale, like these from Mary Stepney’s sheep. Mary herself no longer runs her place. The prices have gone up considerably: $15.00 per pound for raw skirted fleeces! They are beautiful. 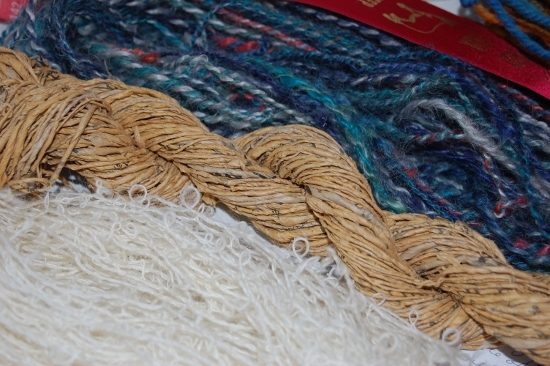 Here are three examples of yarn we judged: a hand spun boucle (say boo-clay since diacritical marks are outside my skill level to apply), paper yarn, and hand-dyed mohair locks spun into yarn. The boucle was a wonder: it was also entered in the sheep to shawl in the warp as an accent in the Dream Weaver’s teal-winged duck shawl. The paper yarn is for display and spun from old tissue sewing patterns. 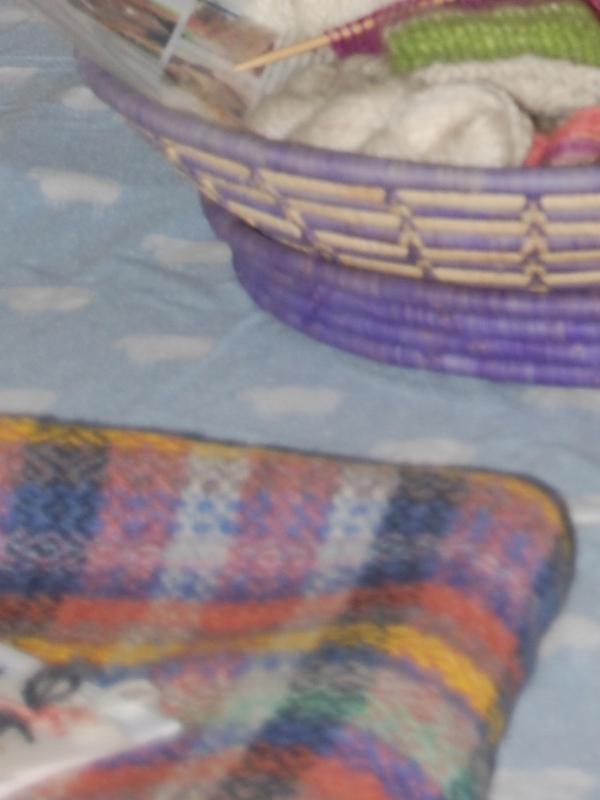 The goat yarn is pretty and had a hard hand; its intended use was for ornamenting a scarf which we felt might one would not want in contact with skin. 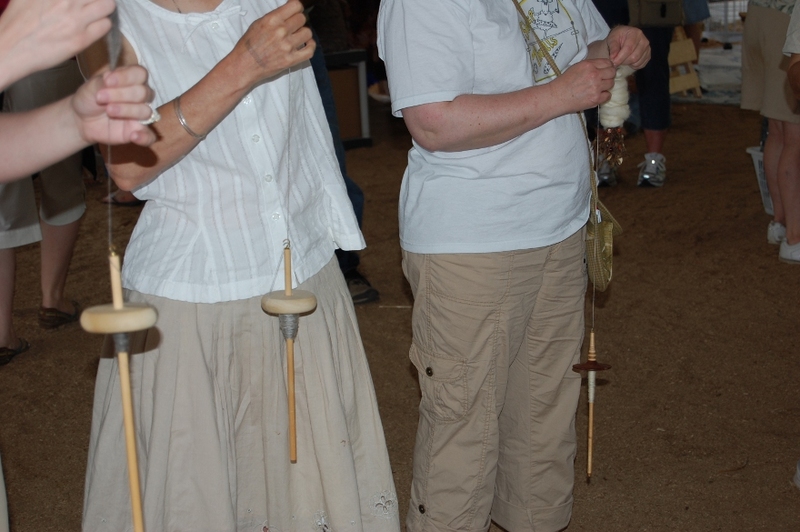 The drop spindle contest. Who can spin the longest thread in ten minutes. 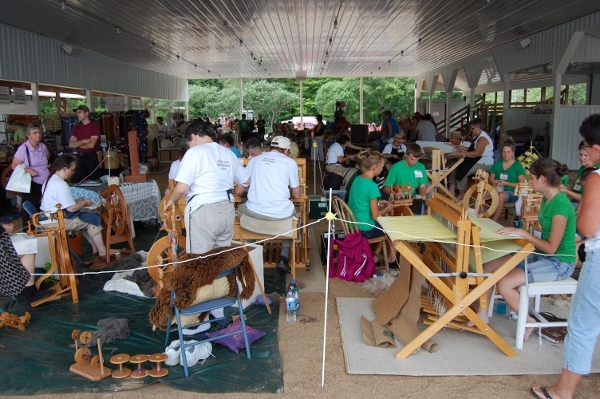 For the first time in memory, we had a tie for first place: a very fine grey wool and a thick, dark brown camel both had 52 yards on the spindle–more than twice as much as any others. If I am recalling correctly. The Spinning Bunny was there, too. 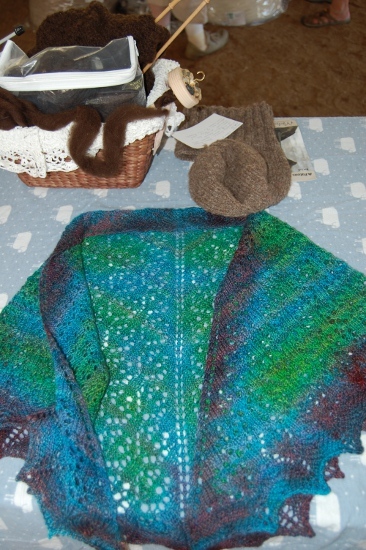 Above are the three shawls that we gave special prizes to. The Crab Nebula shawl was designed for a Ravelry contest. The entrant even had a photo of the Crab Nebula attached to show us how well she did. It is wool and silk. The gold shawl was spun on a drop spindle and plied on a wheel. It had some angelina in it so in certain light is looked as if it was covered with gold leaf. 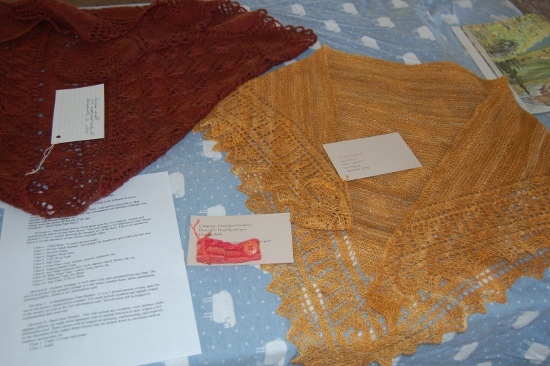 And the rust colored shawl was from yarn spun more thick but incredibly softly and knitted into a lovely leaf-edged pattern. More entries. Please note the blanket in the lower left hand corner. It was our best of show. 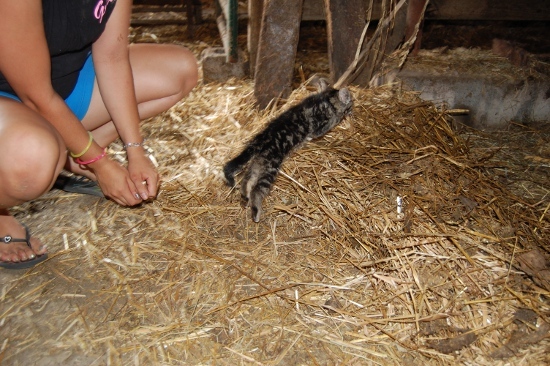 Spun by the young weaver for Cat’s Cradle. It was her second project ever. 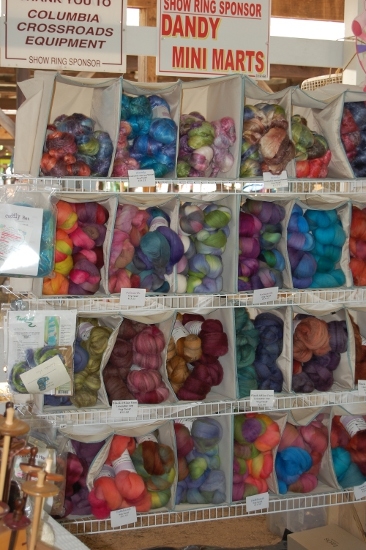 She included her pattern draft, a color card of all the yarns she used–all hand spun and hand dyed by herself. It was soft and the colors worked well together. And it was beautiful. The photo does not do it justice. 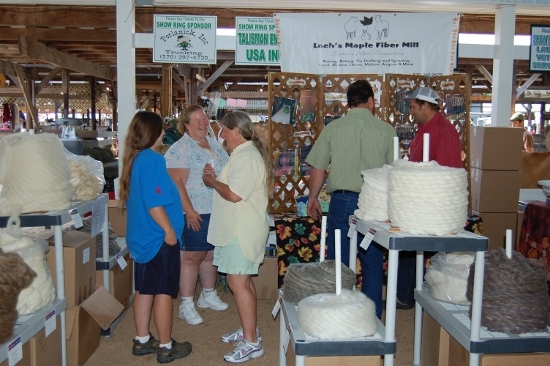 Yesterday was Wool Day at the Troy, Pa Fair. Three of us went down to judge the hand spinning, weaving, and sheep-to-shawl contest. Each team had six members: five spinners and a weaver. One spinner plies the yarn. All prepared the wool for spinning from a fleece of their choice which was brought into the ring with them. 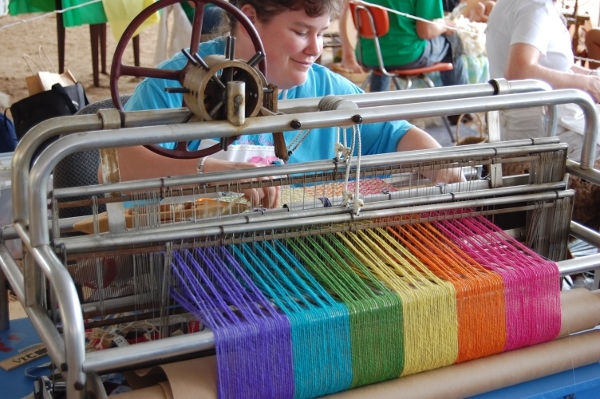 The looms were warped prior to the contest. 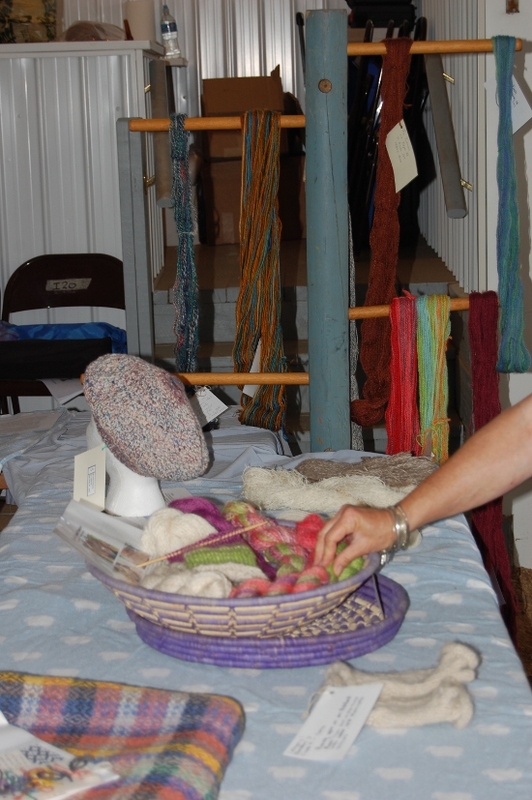 Three teams had hand spun warps. The sett varied from 8 to 12 ends per inch. They had four hours to complete a (minimum) 72-inch long, 18-inch wide shawl. This is the Fort F__?__ Flickers (the middle name escapes me) shawl. It was based on the theme of a daffodil. 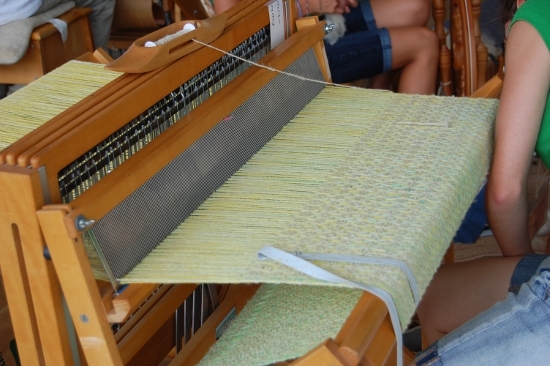 The warp was dyed green at one end and slowly changed to deep yellow at the other end. 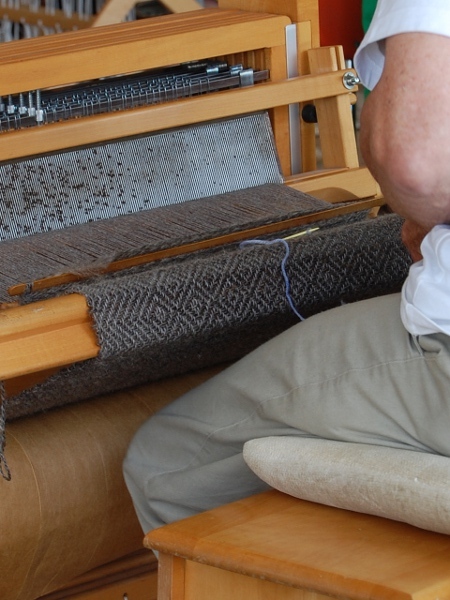 The team used a white fleece for the warp. 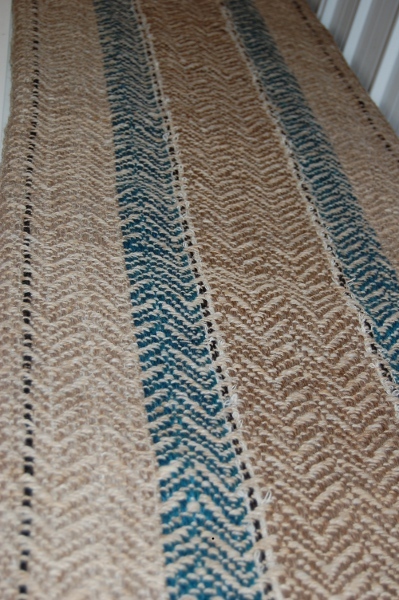 It was a nicely spun and woven shawl. I wonder if their use of food dye will mean it is not light fast. The Flickers was the youngest team. They came in second. Cat’s Cradle used an unusual table loom. The sheds were raised and lowered by turning the wheel. This was the weaver’s third project! She did an admirable job, but the sett was too high (so the shawl was more like a blanket) and their shawl too short (a baby blanket). Cat’s also used a white fleece for the weft. They came in fourth. Isn’t that warp lovely? From our own guild were the Sheep Thrills. An appropriate name. They used a dark grey fleece from Christine Johnson’s Johanneshof Romneys as the weft over a boughten grey warp that looked almost lavender next to the handspun. Bill, who is an expert weaver in cotton, wove an incredible shawl that had a zig-zag border not only on the long sides but also on both short sides which enclosed a square diaper pattern (diaper in the design sense). * But alas, their shawl was short. Sheep Thrills came in third. 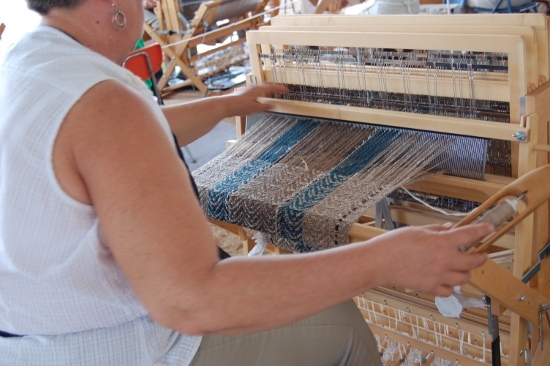 Dream Weavers wove a shawl based on the theme of a teal winged duck. 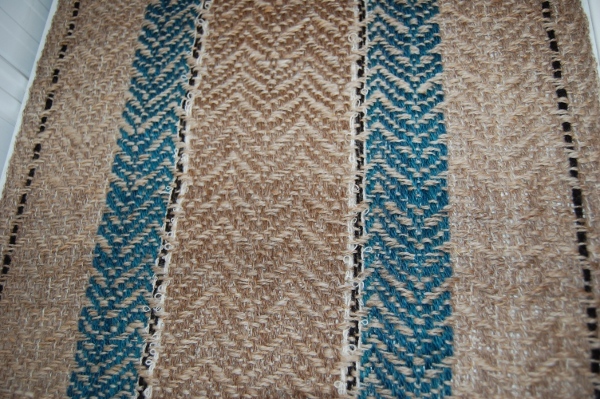 They used two shades of grey hand, a dark blue teal, black and a little bit of boucle–all hand spun in their warp and then used a lighter grey fleece as weft. The result was a simple elegant shawl that incredibly beautiful. Dream Weavers finished first and won first prize. * Textile fabric woven with a small and simple pattern formed by the different directions of the thread with the different reflections of light from its surface and consisting of lines crossing diamond-wise with the spaces variously filled up by parallel lines, a central leaf or dot, etc. – the geometrical or conventional pattern design forming the ground of this pattern. A pattern or design of the same kind used to decorate a flat surface. This morning Hawthorne and I jumped deer in two widely separate areas. We saw neither but heard their snorts and the noise their flight made. 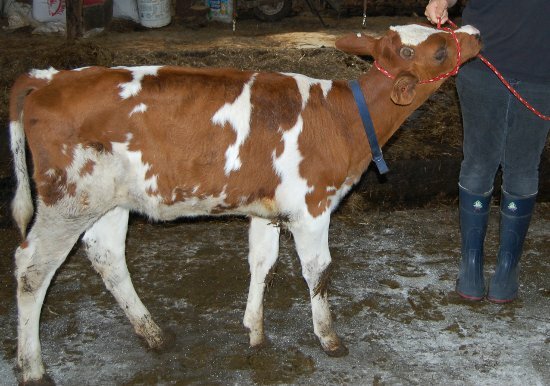 The girl and her borrowed calf moved to the 4-H fairgrounds this afternoon for four days. Jay will stay there at night in a tent. She plans to sleep in the pole barn next to her calf. She packed so much nail polish I wondered (aloud) if she knew it was a barn and not a hotel. She was given lipstick for the photo shoot. 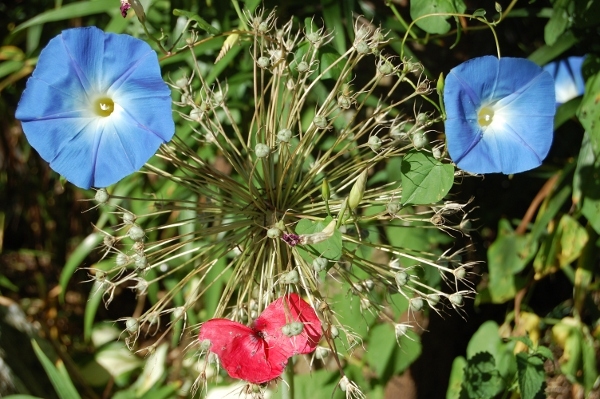 Otherwise she is as she appeared one morning for a short visit. It is not hard. Especially in farm country. 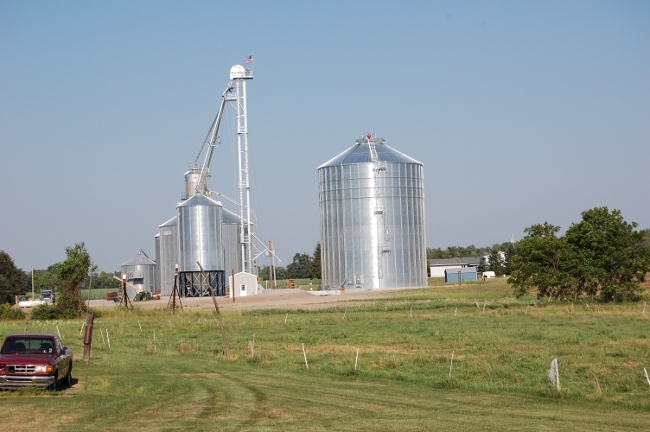 For your perusal: this group of dryers, bins, weigh scale, and transport chutes are used to dry, store, and move grain (wheat and corn mostly). The footers for the pad of the largest bin are over five feet under the soil surface. 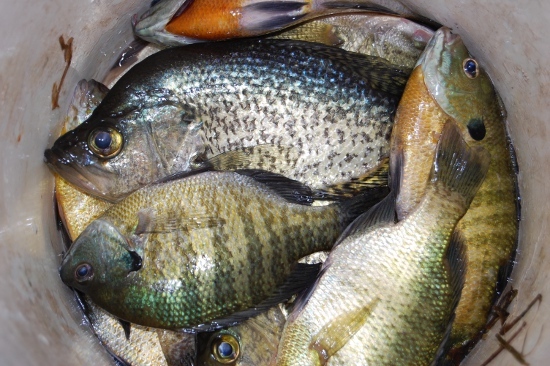 There have been lots of catches this week. Here are some of them. Lots of frogs were caught over at Dad’s pond. 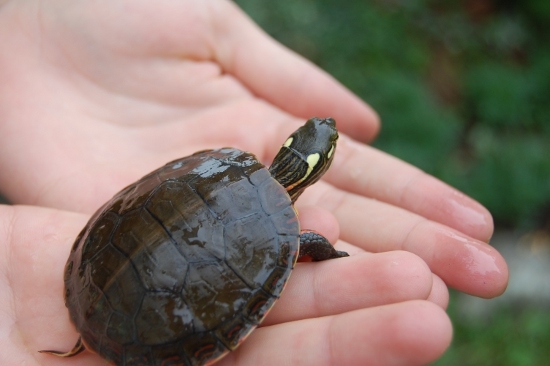 But also caught was this year old painted turtle. It resides in the water barrel here at home now, being fed worms and insects and flies. It left at least 8 of its friends or family to travel here. 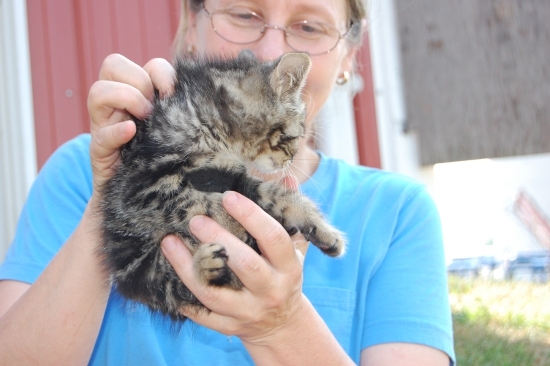 The girl decided she was going to catch this wildish kitten at the cousin’s farm. And she did after two tries. I kept its attention while she snuck up on it. Daddy said we could not bring it home. It is skinny as well as being cute. He gave her some scratches then howled incredibly miserably when he was first caught. And seemed glad to be released back to his lair. 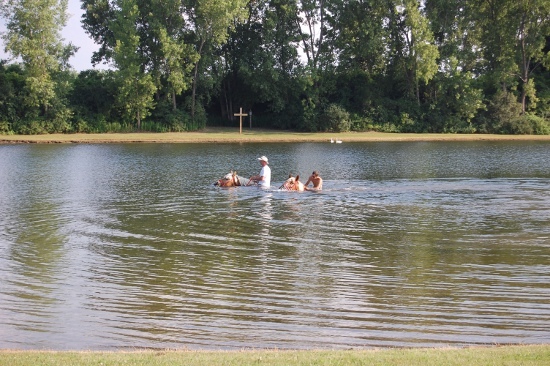 At the next cousin’s home some neighbors were exercising their horses in the 25 acre pond. 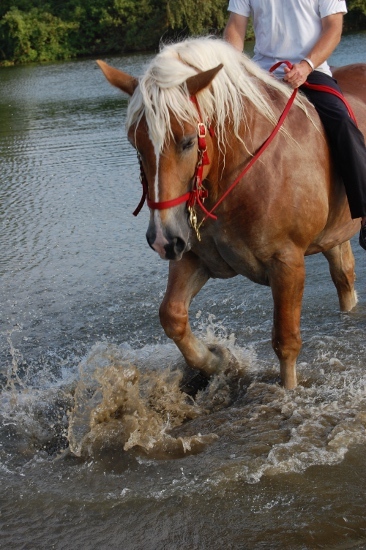 Here the Belgian draft horses are swimming. One thing the girl has wished for a long time is to ride a swimming horse. She was able to have that dream fulfilled. 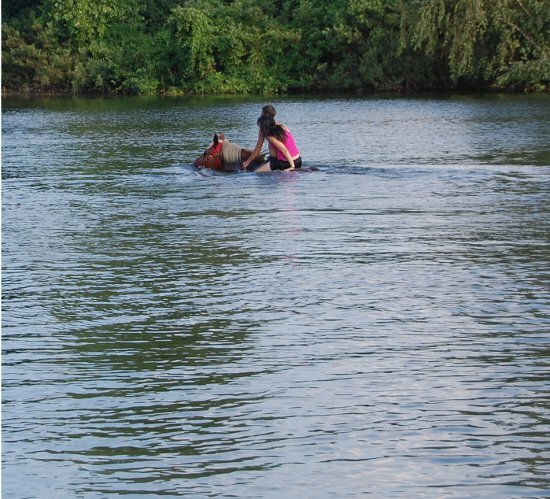 The mare really liked to swim and when she had to stop and visit would splash impatiently to get back into the deeper water. Then of course there was the mess o’fish jay and I caught. 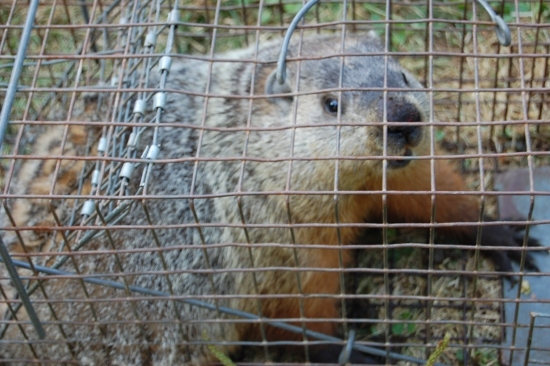 And yesterday I caught this woodchuck who had the temerity to think it was going to live under my front porch. Not for long. 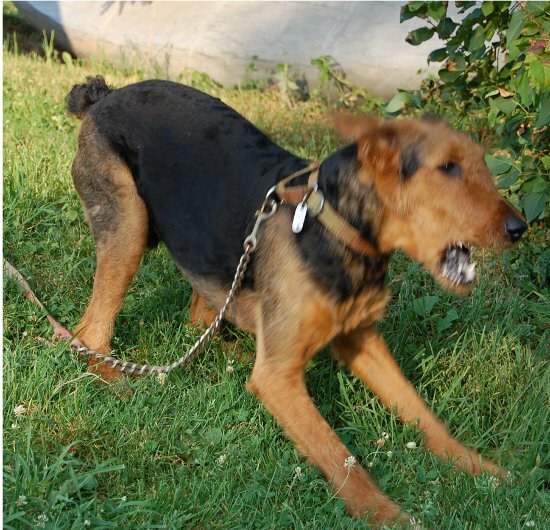 Hawthorne wished he had caught the woodchuck. It was fortunate, though. Jay took it down the road several miles to abandoned fields, where the coyotes might find it for supper. For lunch today we had yellow sweet cherries (grown by Jay’s aunt and uncle and picked by us yesterday), mixed fillets of fish caught yesterday in a cousin’s pond: striped bass, bluegill, largemouth bass), lettuce, homemade root beer and homemade cookies (the last three my Mom grew or made).